5 REASONS WHY AND HEY, WHERE'D THE BAG OF GOLD GO..?! Yesterday I told you a little about my old school upbringing in Israel... but 40 years earlier my grandparents arrived there from the old world. 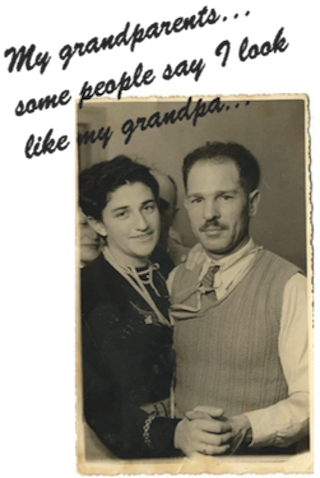 My grandparents were Ester and Nissim, Jews that fled the Nazi takeover of eastern Europe in the early 1940s. Their families left everything behind to escape with their lives. My grandmother was the daughter of a wealthy businessman who owned textile factories in Bulgaria. She was raised in a home with nannies, cooks, and maids. She lived in a mansion behind big gates. She fled Bulgaria with her family when she was 17 years old. According to family lore, when the war started her father saw what was coming and began liquidating as much of his wealth as possible. He left Bulgaria for Turkey with his family and they brought seven bags of gold with them. 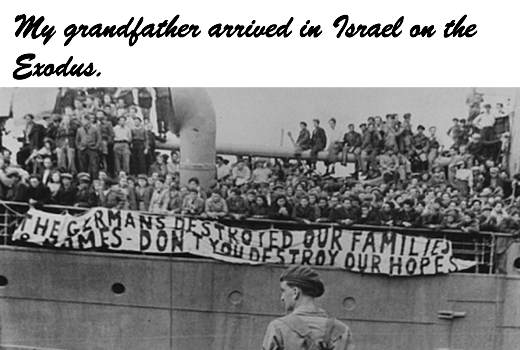 They traveled by train from Istanbul to the Port of Haifa arriving in Palestine in 1942. By the times they arrived, only 1 bag of gold remained. To this day no one knows where that gold went, and when I was a kid my family would talk about it being hidden in the walls of my grandparent's house. Upon arrival, my grandparents were matched up. They were both Bulgarian and only seven years apart in age… besides that, I’m not sure what else they had in common. They married, were given a plot of land and assigned jobs. My grandmother was assigned a job as a seamstress in a factory because of her family's textile background. 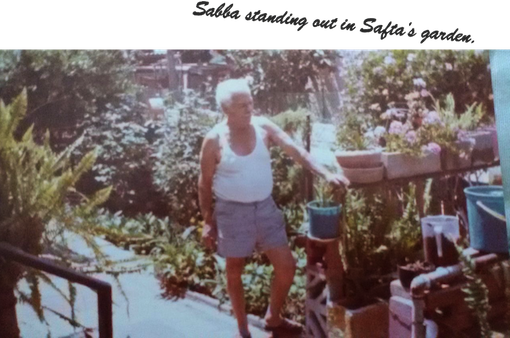 My grandfather drove a dump truck, something he was happy to do for 50 years every day until the day he died. I spent as much time at my grandparent's house as my own growing up and both of them taught me about food. My grandfather taught me how to love food. 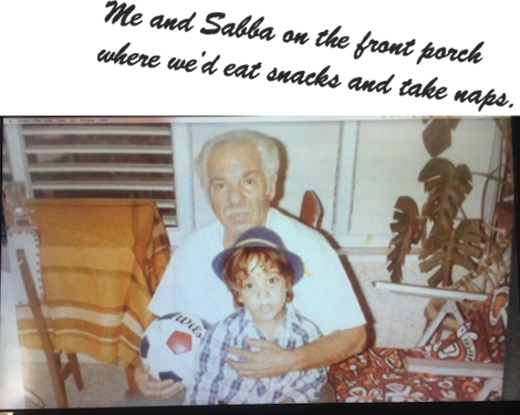 “Shai-kee, come here.” Sabba (as I called him) would press some coins into my hand and tell me to go to the market for his feta cheese and tobacco. We’d cut up a watermelon from the garden and eat it with the salty feta cheese while sitting on the front porch. Then we’d take a nap. That was my Sabba. My grandmother, or as I called her Safta taught me how to make food. She had am bountiful garden and a kitchen filled with drying herbs and spices. After school, my job was to pick the tomatoes, peppers, eggplants in the warm season and root vegetables and greens when it was colder. Safta was an industrious homemaker, I always knew my assignments and she would keep me on task. But she always took the care and time to show me how to peel and cut, prep and stir. I loved it in her kitchen and that’s where she taught me about pickles. We’d make them together from the bounty of her garden. Back then I had no idea what salt-water-brine, lactic-acid fermentation was and why it was so special. 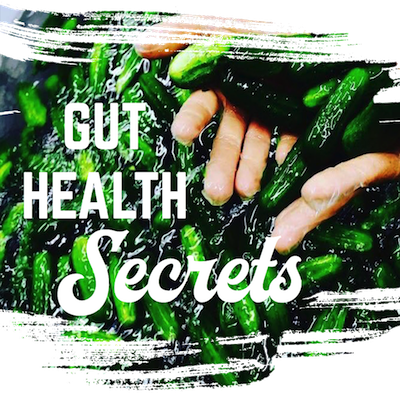 And I certainly had no idea that the pickles, sauerkraut, fermented vegetables and olives that were on the table at every meal were live-culture foods, filled with naturally occurring probiotics. Those were just Safta’s pickles. Fast forward 30 years and here I am: A proprietor of a small batch, fermented pickle company in Jacksonville, Florida of all places. How did I get from my grandparent’s garden in Israel to here? It’s been a journey. One that started in Safta’s kitchen and would take me across the world, far away from my family. What happened next I never could have anticipated… but I’ll leave that for next time. Thanks for getting to know me better and reading my story. 1. First, opt for colored potatoes-- red or purple-- over white potatoes. Colored potatoes have three to four times more antioxidants than white potatoes. This makes them potentially more effective at neutralizing free radicals. 2. Skins on! The skin and peels of veggies are where the fiber is. provides 14% of the recommended daily intake of fiber. potato providing 20% of your daily needs. Good stuff! Place red potatoes in a medium pot and fill with cold water. Add salt. Bring to a boil and cook until tender, about 8 minutes (longer for bigger potatoes). Drain in colander and set aside. 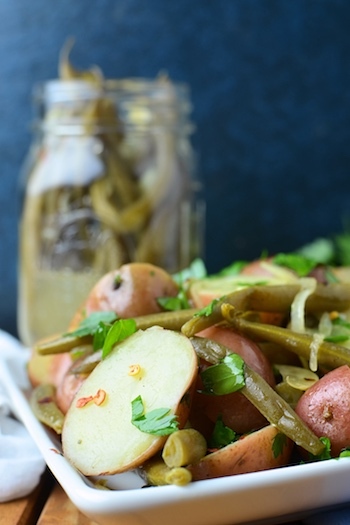 In medium bowl combine potatoes and green beans. Set aside. In small bowl whisk together olive oil and brine. Add black pepper and red pepper flakes and combine. Pour over potato and green bean mixture and toss to coat. Add a sprinkling of parsley to garnish.. Enjoy, and oh--you're microbiome is thanking you! 1Enhanced Nutrients: Fermentation creates new and enhanced nutrients through its metabolic process. Thiamin (B1) increases during fermentation and contributes to a healthy nervous system and cardiovascular system. Riboflavin (B2) plays a major role in the body’s energy production and niacin (B3) is known to lower and stabilize cholesterol levels. Folic acid is a B vitamin that increases during fermentation and helps your body produce and maintain new cells. It also helps prevent changes to DNA that may lead to cancer. 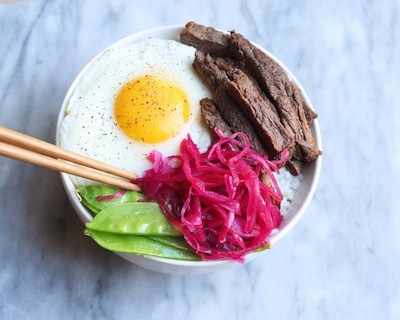 2Fiber and prebiotics: Fermented vegetables including pickles, sauerkraut and KimChi are fibrous foods that are known to have numerous health benefits. We discuss the relationship between prebiotics and probiotics in our article Why Eating Prebiotics and Probiotics Are Necessary for Gut Health (And is Easier Than You Think). 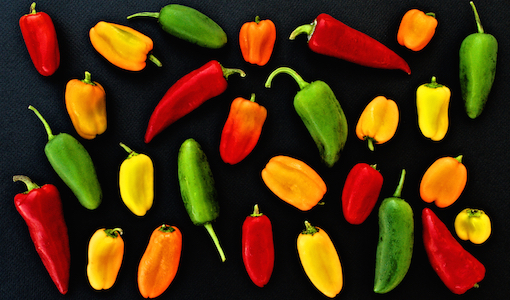 3Taste: Is taste a health benefit? Arguably yes, since the pleasure of eating delicious food is good for the mind and soul. The fermentation process creates a unique and strong taste in fermented vegetables that is extremely pleasant and satisfying. 4Fermentation pre-digests food, breaking down components into more elemental forms and making them easier to digest. 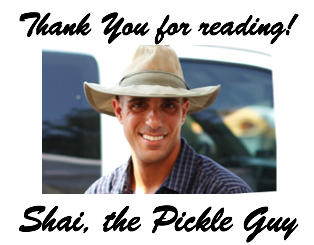 This also allows the nutrients to be more absorbable and therefore bioavailable to the body. 5Removal of toxins: The fermentation process actually removes toxins and eliminates bad bacteria. In addition, it has been shown to biodegrade the pesticide residue on vegetables. 1. Fat: Good omega 3 fats, the kinds found in olives, avocado and fatty fish like sardines and wild salmon, along with stable saturated fats like coconut oil and ghee butter are optimal. 2. Fiber: Ideally in the form of leafy green, and cruciferous vegetables (kale, spinach, chard, broccoli). Your microbiome loves, loves LOVES fiber and getting enough is FOUNDATIONAL for gut health. 3. 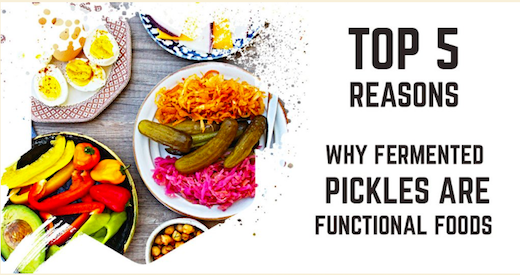 Ferments: Eat probiotic-rich foods like pickles, kraut, kimchi or olives 3x a day as snacks or with meals, Your gut needs a small and constant supply of live culture foods.